Ever wondered what it would be like to dedicate a whole day to writing? WriteSpace Retreat is a metropolitan retreat for you and other writers to escape to. You’ll be amazed at what you can achieve in a day. You can also contact Jen to ask for help with something specific - it could be to review an extract of your work or to bring along something specifically related to what you are working on. Each retreat is different. You'll be among people working across all different genres and forms. There might be published writers and those just starting to explore the craft. WriteSpace Retreat is for anyone wanting to dedicate time to focus on their work. 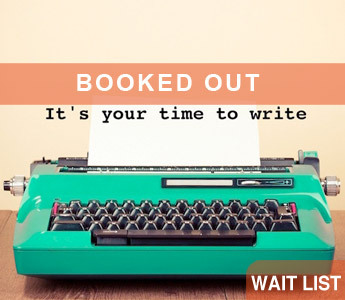 This retreat is for Writers Victoria members only. Jen Squire is a Melbourne writer, passionate about coffee, food and our writing community. She has many years' involvement in creative writing - workshop groups, formal study and as a critique partner - and has helped writers to develop short stories, memoirs and full fiction manuscripts covering a wide range of subject content, genres and points of view. She loves music, yoga, swimming and reading - and writing about them.